Return on investment (ROI) is the ratio of profit made in a financial year as a percentage of an investment. In other words, ROI reveals the overall benefit (return) of an investment using the gain or loss from the investment along with the cost of the investment. Return on investment is a useful and simple measure of how effective a company generates profits from an investment. Many firms use ROI as a convenient tool to compare the benefit of an investment with the cost of the investment. For example, if a company effectively utilizes an investment and produces gains, ROI will both be high. Whereas if a company ineffectively utilizes an investment and produces losses, ROI will be low. For investors, choosing a company with a good return on investment is important because a high ROI means that the firm is successful at using the investment to generate high returns. Investors will typically avoid an investment with a negative ROI, or if there are other investment opportunities with a positive ROI. Return on investment models are used often because the ROI ratio and inputs can be modified to fit different companies and financial situations. Similar formulas to calculate profitability include return on equity, return on assets, and return on capital. One issue with the simple return on investment formula is that it is often used for short-term investments, so it does not account for the time value of money. Thus, it is less accurate for calculating ROI for long-term investments over one year. To measure the long term return on investment for future years, use the discounted ROI formula. For example, this year, ABC company has produced earnings of $50,000 from an investment. The cost of the investment was $30,000. Based on the result, we assume that ABC company has an annual percentage return on investment of 67%. The benefit (gain) was $50,000 and the investment cost was $30,000. If you want to increase your return on investment, then you need to adopt our method of finding “destroyers” of value. Click here to download the Top 10 Destroyers of Value to maximize the value of your company. The return on invested capital (ROIC) is the percentage amount that a company is making for every percentage point over the Cost of Capital|Weighted Average Cost of Capital (WACC). More specifically, the return on investment capital is the percentage return that a company makes over its invested capital. However, the invested capital is measured by the monetary value needed, instead of the assets that were bought. Therefore invested capital is the amount of long-term debt plus the amount of common and preferred shares. NOPAT – This is the operating profit in the income statement minus taxes. It should be noted that the interest expense has not been taken out of this equation. Invested Capital – This is the total amount of long term debt plus the total amount of equity, whether it is from common or preferred. The last part of invested capital is to subtract the amount of cash that the company has on hand. Are you in the process of selling your company? 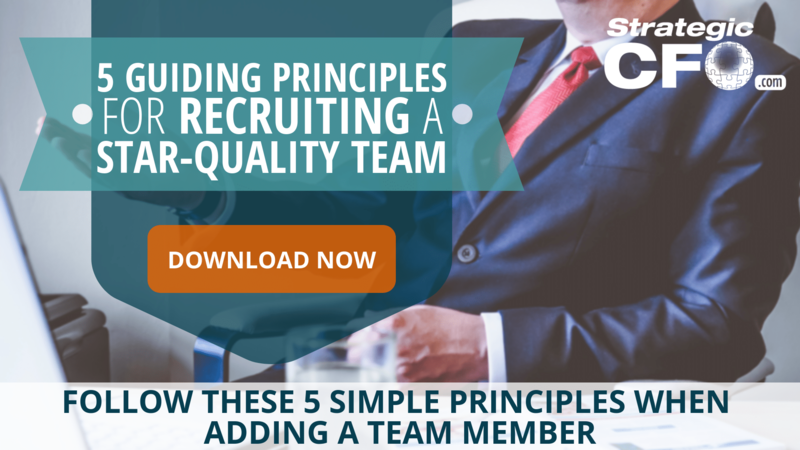 The first thing to do is to identify “destroyers” that can impact your company’s value. 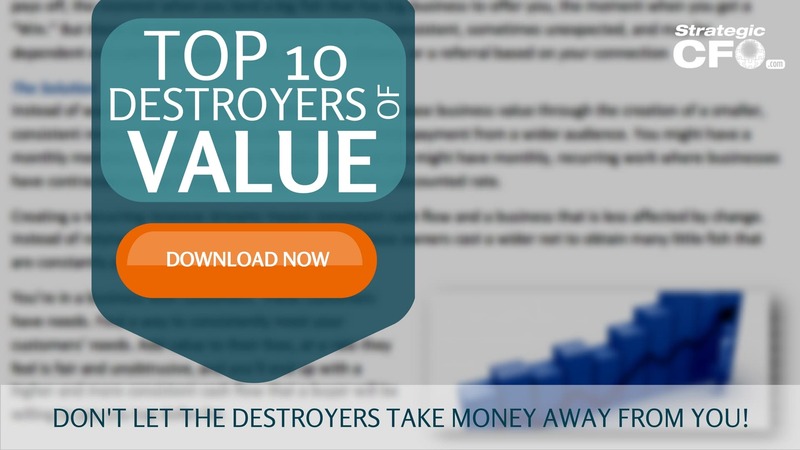 Download your free “Top 10 Destroyers of Value“. To see how well the company is actually generating a return, Bob then compares the 13% to the WACC which is 11%. Thus, Bob find that the company is generating 2% more in profits than it cost to keep operations going. 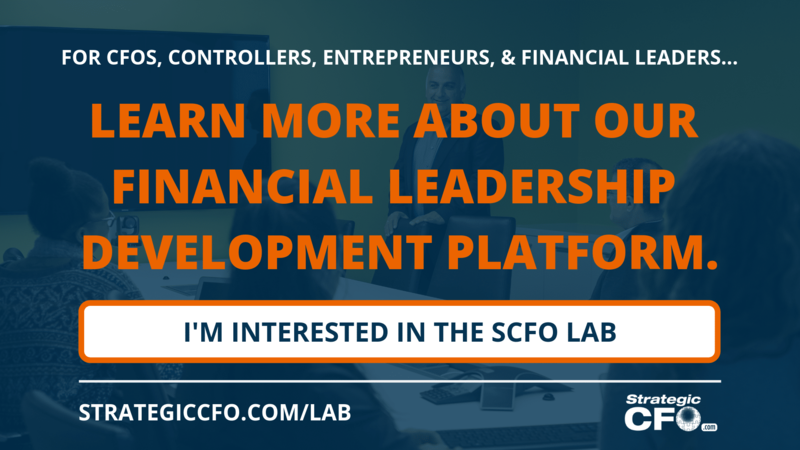 As a financial leader, it is your role to improve the bottom line and calculate the return on invested capital. Managing a high return is more attractive to potential buyers. If you’re looking to sell your company in the near future, download the free Top 10 Destroyers of Value whitepaper to learn how to maximize your value. For example, if an investor invests $100 at a 10% interest rate compounded yearly, during the first year the investment would earn interest on the original $100, and the next year the investment would earn interest on the original $100 plus the $10 of interest earned in the prior year. You can compound compound interest at different intervals, such as yearly, semi-annually, quarterly, monthly, daily, or continuously. For yearly compounding interest rates, the original capital earns interest at the stated annual rate over the course of the year. The following year, the interest earned during the first year is added to the original capital, and the investment earns interest on the new amount. For semi-annual, quarterly, monthly, or daily compounding interest rates, the original capital earns interest for the stated time period. At the end of that stated time period, the interest earned is added to the capital, and for the next period interest is earned on that new amount. This continues and the amount of money that earns interest gets larger and larger each period. For a continuously compounding rate, the compounding period is an instant. In this case, compound the interest an infinite number of times during the course of a year. There is a difference between compound interest and simple interest. An investment with compound interest grows faster than an investment with simple interest. Simple interest is interest earned on the original amount of capital. Each time period, the stated interest rate applies only to the principal amount. With simple interest, the interest itself does not earn interest. For example, if $100 is invested at 10% yearly simple interest rate, then the investment earns $10 of interest each year. Each year, the interest rate applies only to the original $100 dollars and not to the accumulating interest. Compound interest, as stated above, earns interest on the principal as well as the interest earned in prior periods. For example, if an investor invests $100 at a 10% interest rate compounded yearly, during the first year the investment would earn interest on the original $100, and the next year the investment would earn interest on the original $100 plus the $10 of interest earned in the prior year. Here is how you calculate the value of an investment with compound interest after a certain number of years. First, divide the annual interest rate by the number of compounding periods. Then add one to that number. Next raise that value to the product of the number of compounding periods multiplied by the number of years of the investment. Take the value, and multiply it by the principal value. This gives you the ending value of the investment including compounded interest. For example, if you invest $100 at an annual rate of 6% that compounds monthly, then at the end of one year, the value of the investment would be $106.17. For example, if you invest $100 at an annual rate of 6% that compounds quarterly, then at the end of one year, the value of the investment would be $106.14. What is a term sheet? It contains the terms of an investment made by a venture capital firm. It is a summary of the legal and financial terms of a proposed deal. Basically it is a letter of intent (LOI) for venture capital investments. It is important to understand the pre and post money valuations of your firm if you are taking on a VC partner. Contain the details of these valuations within the term sheet. It is important to understand how much of the equity you will hold after the transaction. Each round of equity financing typically has its own terms.